Tanner, Adrian. "Innu (Montagnais-Naskapi)". The Canadian Encyclopedia, 16 October 2018, Historica Canada. 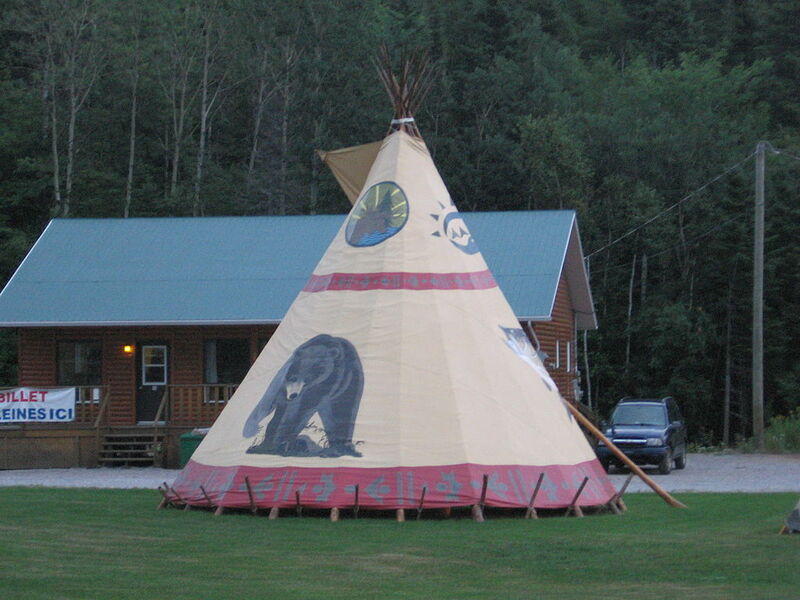 https://www.thecanadianencyclopedia.ca/en/article/innu-montagnais-naskapi. Accessed 22 April 2019. Innu, which means “people” in the Innu language, is the predominant term used to describe all Innu. Some groups maintain the use of one of two older terms: Montagnais (French for “mountain people”), usually applied to groups in forested, more southern communities, and Naskapi, which refers to far northern groups who inhabit the barren lands of the subarctic. In the 2016 census, 27,755 people identified as having Innu/Montagnais ancestry, while an additional 1,085 identified as Naskapi. The Innu inhabit a vast boreal territory on the Labrador Peninsula known as Nitassinan. They are distinct from but closely related to Eastern Cree	groups that inhabit the western portion of the Labrador Peninsula. Though Innu were traditionally nomadic, contemporary communities are largely sedentary, the product of government policies to integrate Indigenous peoples into the global economy through forced relocation. Groups are widely dispersed across a huge area of land. Many communities are remote, but relatively accessible. For example, Uashat and Mani-utenam are in and around Sept-Îles, Quebec, along the north shore of the St. Lawrence. Others are far more remote, like the communities of Matimekush-Lac-John and Kawawachikamach around Schefferville, Québec, north of Labrador. Innu communities in Quebec include Pessamit, Kawawachikamach, Unamen Shipu, Essipit, Uashat mak Mani-utenam (the collective name for the two Sept-Îles communities), Mashteuiatsh, Ekuanitshit, Nutashkuan, Pakua Shipu, and Matimekush-Lac-John (Schefferville). The two largest Innu communities in Labrador are the Mushuau Innu in Natuashish and the Sheshatshiu Innu in Tshishe-shastshit. 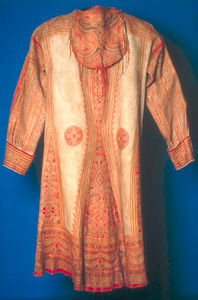 The designs of this coat may reflect influences of European textiles. Naskapi hunter's summer coat, made of animal skin, from the interior Quebec-Labrador Peninsula. Innu traditionally hunted and fished across the vast boreal territory known as Nitassinan on the Labrador Peninsula. Innu hunted game animals like caribou in the eastern and northern areas, moose in the west, as well as beaver, bear, lake fish and salmon. In addition to hunting game, Innu fished for eels	and fish, hunted seals, and gathered roots, berries and maple	sap. They developed trade networks with other Indigenous groups such as the Huron-Wendat. The Innu travelled in much the same way as their Algonquian relatives, using the canoe in summer, and snowshoes	and toboggans in winter. 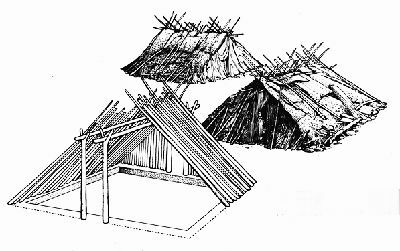 In addition, Innu lived in wigwams made of birchbark in the south and caribou hide in the north. Social groups revolved around the seasons. Several families would come together into winter hunting camps, while larger gatherings occurred in the summer, providing an opportunity for festivities and socializing. Traditional hunting techniques used every part of the caribou; craft makers decorated skins with painted or quill designs to make clothing of many kinds, or made drums for celebrations and sacred singing. The cracks and fissures in a burnt caribou shoulder blade were believed to foretell the location of game. Belief in animal spirits played a major role in the hunt. People gained status mainly through the ability to make gifts of meat to others. After the hunt, communities would hold a ceremonial feast ( makushan) of caribou fat and bone marrow. The feast included drumming and songs sung to the animal spirits. Much of the ancestral religion is recorded in legends and songs. Pre-contact Innu religion was a personal endeavour and encouraged the cultivation of respect for animals. The caribou was the most revered animal as it provided practically all the necessities of life. Shamans	performed Shaking Tent rites, and hunters appeased animal spirits by placing offerings of bones and skulls in trees or on raised platforms. The arrival of European missionaries drastically altered ways of life for the Innu. 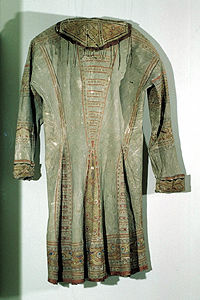 Early in the relationship, Christian texts were translated into the Innu language and missionaries became actively involved in Innu spiritual and cultural life. In the 18th century, missionaries in association with community members helped to develop a standard orthography for the Innu language, in addition to their efforts to convert the population to Christianity. While many contemporary Innu communities retain these religious affiliations, traditional beliefs persist in some communities. Although the Innu briefly fought the Inuit, the Haudenosaunee, the Mi’kmaq	and the Abenaki, they were not a warlike group, and at least some hostility was a side effect of European contact. In the Tadoussac	region, the Innu were military allies of the French in their wars with the British and their Indigenous allies. (See also Iroquois Wars.) Champlain	formed an alliance with a Montagnais group in 1603, laying a foundation for French-Indigenous relations to come. Before the 19th century, most contact between the northern Innu and Europeans was indirect, generally by trade through neighbouring Cree and southern Innu intermediaries. Life depended on the movements of the barren-ground caribou. Starting in 1830, the Hudson's Bay Company opened posts in this northern region, supplied first from Fort Chimo and later from North West River, Labrador. For two centuries the fur trade was the focus of Innu-European relations. Trade at posts in the Gulf of St. Lawrence were monopolies first of France and later Britain, and were leased to private traders. By the mid-19th century, most areas were over-hunted, and the southern Innu needed assistance from missionaries and the government to survive. Soon, commercial forestry increased their difficulties, and they were excluded from salmon rivers, which were leased by clubs and individuals. The fur trade had disastrous results for the Innu because the trapping lifestyle did not allow the flexibility needed to follow nomadic caribou herds. As with many Indigenous peoples during their early contact with Europeans, the Innu population was devastated by smallpox, the Spanish flu, tuberculosis, syphilis, scarlet fever, whooping cough, measles and other diseases. Large numbers of people also died of starvation. The shift away from traditional subsistence models meant a reliance on the wage economy and government intervention. For some, this meant forced relocation to communities where social problems only worsened. 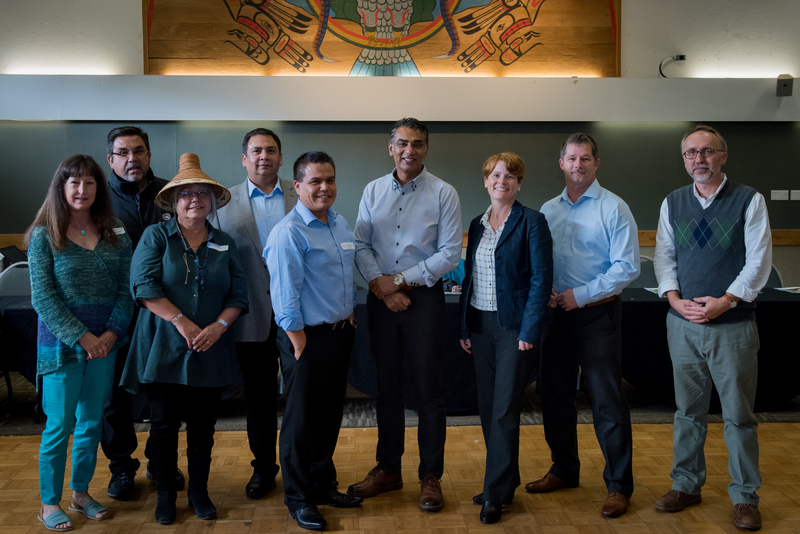 Two tribal councils represent Innu groups in Québec: Le Conseil Tribal Mamuitun (incorporated in 1991) represents Mashteuiatsh, Essipit, Pessamit, Uashat, Mani-utenam and Matimekush; while Mamit Innuat (founded in 1982, incorporated in 1988) represents Ekuanitshit, Nutashkuan, Pakua Shipu and Unamen Shipu. The Innu Nation represents the two Labrador communities. The groups continue to press for settlement of their land claims	and protection from the impact of forestry, hydroelectric dams, roads, and low-level military flights and mines, such as those in Voisey’s Bay, Labrador. Originally excluded from the Agreement in Principle leading to the James Bay Agreement in 1975, the Innu Nation negotiated a separate agreement in 1978, known as the Northeastern Québec Agreement, which provided the Naskapi of Kawawachikamach (Schefferville) with some self-government concessions and $9 million over 20 years in exchange for development rights. Isolated communities have suffered from high rates of alcoholism, substance abuse and suicide. In 1993, the Innu of Davis Inlet (Utshimassits) attracted the attention of the world’s press over a gas-sniffing epidemic. (See also Gas Sniffing in Labrador.) The children involved recovered but the incident was seen as representative of poor conditions in Indigenous communities in Canada. In 2001, the Government of Canada, the Government of Newfoundland and Labrador, and the Labrador Innu developed the Labrador Innu Comprehensive Healing Strategy to address some of the problems within the Innu communities. In 2002, approximately 680 people from Davis Inlet relocated to Natuashish, west of the original community. In 2008, Natuashish residents voted to ban alcohol on their reserve. In 2002, the Innu Nation successfully lobbied the federal government to be recognized as Status Indians, giving them access to various federal programs and services under the Indian Act. The communities of Natuashish and Sheshatshiu, both located in Newfoundland and Labrador, were established as reserves in 2003 and 2006 respectively. Since 2005, Tshiuetin Rail Transportation Inc., owned and operated by the following communities — Innu Takuaikan Uashat Mak Mani-Utenam, Naskapi Nation of Kawawachikamach, and Nation Innu Matimekush — has provided a passenger rail link between Emeril (Labrador) and Schefferville (Quebec). G. Henriksen, Hunters in the Barrens: The Naskapi on the Edge of the White Man's World (1973). Marie Wadden, Nitassinan: The Innu Struggle to Reclaim Their Homeland (1991). 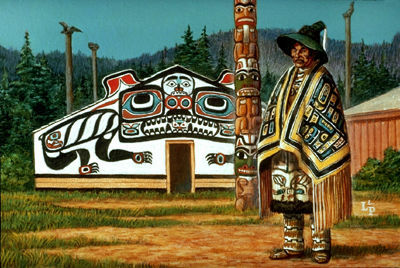 P. Armitage, The Innu (Montagnais-Naskapi) (1991). P. Armitage, The Innu (Montagnais-Naskapi) (1991); G. Henriksen, Hunters in the Barrens: The Naskapi on the Edge of the White Man's World (1973); An Antane Kapesh, Eukuan Nin Matshimanitu Innu-Iskueu [Je Suis une Maudite Sauvagesse](Montagnais and French; 1976); F. G. Speck, Naskapi, the Savage Hunters of the Labrador Peninsula (1977); Marie Wadden, Nitassinan: The Innu Struggle to Reclaim Their Homeland (1991). 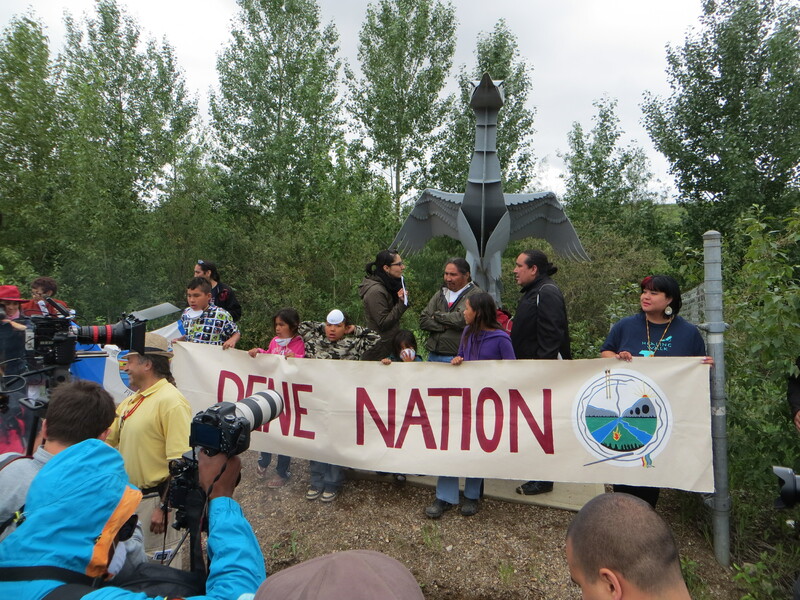 INNU NATION Explore the official website of the Innu Nation. LEARNING TOOL Historica Canada’s Education Portal provides various learning tools for teachers, including this one on the relocation of the Mushuau Innu. GLOBE AND MAIL Read the article, “A decade after the people of Davis Inlet were relocated, they are still hunting demons” (2015). NASKAPI NATION Learn more about the Naskapi Nation of Kawawachikamach. CONSEIL TRIBAL MAMIT INNUAT Explore the official website of this Innu tribal association. INNU-AIMUN.CA This project aims to celebrate the Innu language and culture and to share a wide range of Innu language resources. CONSEIL TRIBAL MAMUITUN Learn more about this Innu tribal association in Quebec.